We're engaging the 'Crowd' - the community members we serve - who have lots of important things to say! 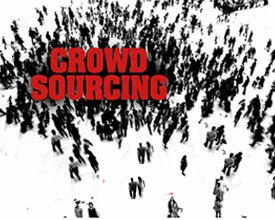 We view Crowdsourcing (Cs) as an innovative method to leverage the reach of the internet, through which we invite the public to help resolve an issue, state their opinion, or help with a task. There is great power in numbers and we welcome ideas from any source! In short, Community Solutions uses Cs to challenge the public to respond to prompts posted to our website. We're happy to take in as many great ideas in response to our prompts as we can handle. Upon referral of a complex community dispute, we'll post the most current Cs challenge to this webpage with a brief summary of the background, key issues, and participants involved. Step 1. Read our Cs Rules below. Step 2. Review the three Cs Prompts that follow. Step 3. Reference information is provided online. Examples include, but are not limited to City of Bend Ordinances, relevant City development plans, Neighborhood Association and/or Local business websites, and more. To access these sources of information, we'll always provide a 'For Reference' section. Step 4. Fill in our submission form, which will be added to this webpage, then pick a Cs Prompt and type in your input in the space provided; there is no word limit. Step 5. Be sure to check your email inbox for our auto-generated message sent after your response. Doing so lets you know that we've confirmed receipt of your input! - You must complete each field of the submission form. Feel free to choose one or all three Prompts and submit. Incomplete submissions will not be accepted by our web-based system. - Please tell us how you most identify yourself in relation to the complex community dispute. For example, 'I am a home and property owner along Main Street,' or 'I am an employee of a business within the Neighborhood Association area.' Doing so gives us context when reading your responses. - We recommend you first write out your response(s) and save them in another file. Then, cut/paste into the appropriate Prompt response space before sending. Doing so saves your input for later reference. - Multiple submissions to the same Prompt are allowed if you want to add relevant, follow-up information to your earlier response(s). We'd ask that you use the same email address when doing so, which makes it much easier to link your inputs. * Problems or issues with our Submission response form? Send us an email at support@solutionsco.org and we'll make every effort to assist. We publish Cs prompts to this webpage and keep response lines open throughout group discussions. However, all Cs is usually conducted only for a specified timeframe - usually a matter of weeks. This allows us time to consolidate all input, assess the results, inform group participants, and share our final assessment with the City of Bend. We appreciate your opinion, ideas, and recommendations. Our team will review your input and ensure that group participants know how you feel. By submission, you agree that we may share or include your input, in whole or in part, within the City of Bend or group participants. We handle and protect your personal information as confidential; at no time will your name, address or other personal information be disclosed.